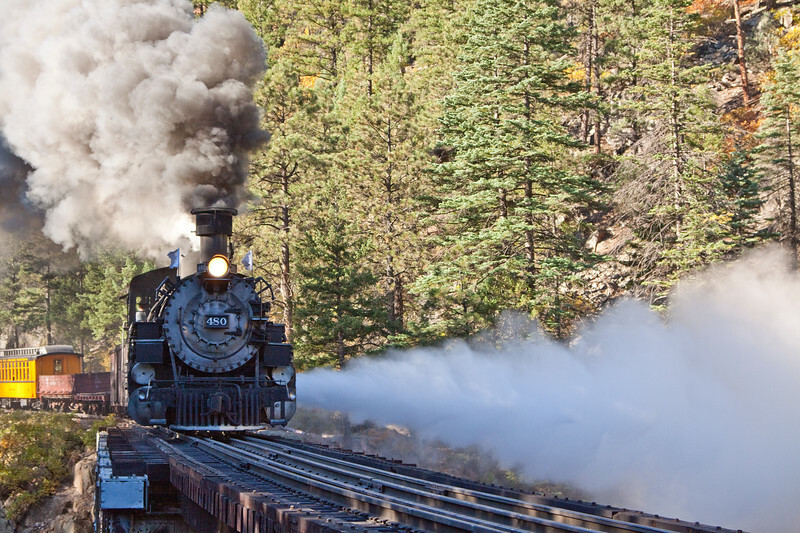 The D&SNGR has been in continual operation since 1881. 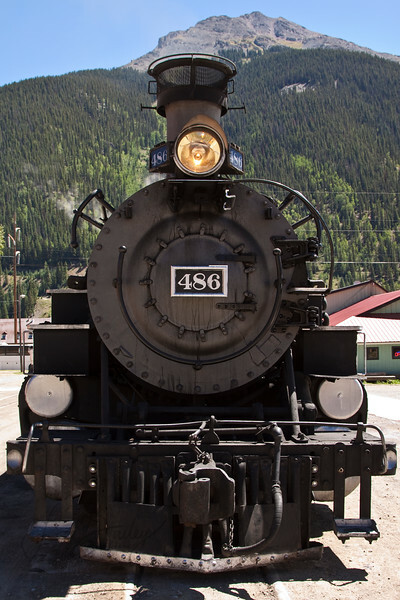 Engine 480 is one of ten K-36 locomotives built in 1925. 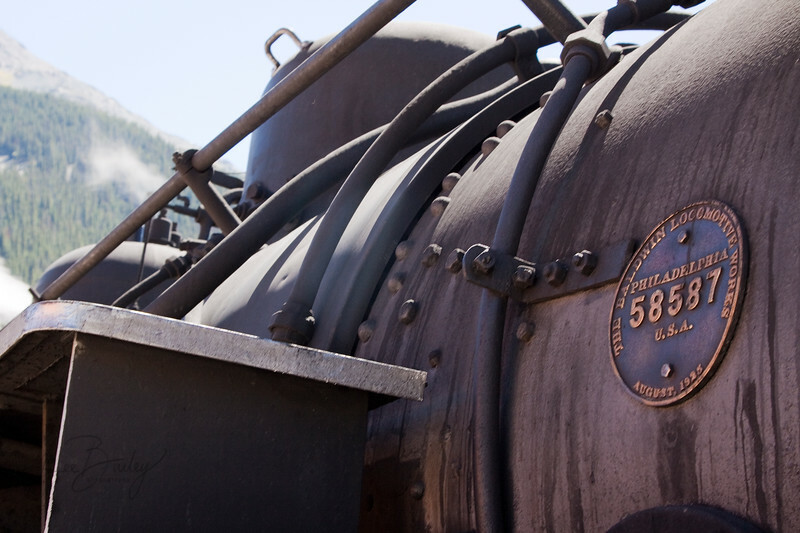 The 36 stands for 36,200 lbf of traction The company owns 4 K-36's, and all are operational! 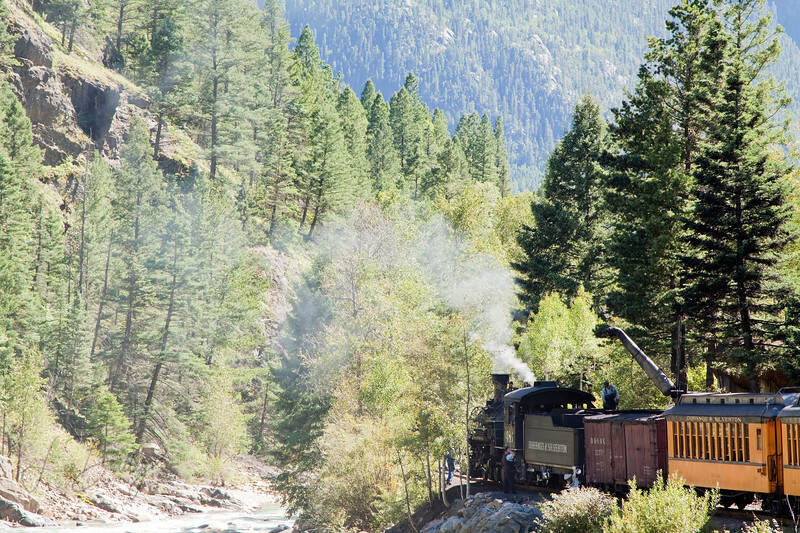 Durango & Silverton narrow gauge railroad pulling up the grade along the Animas River. 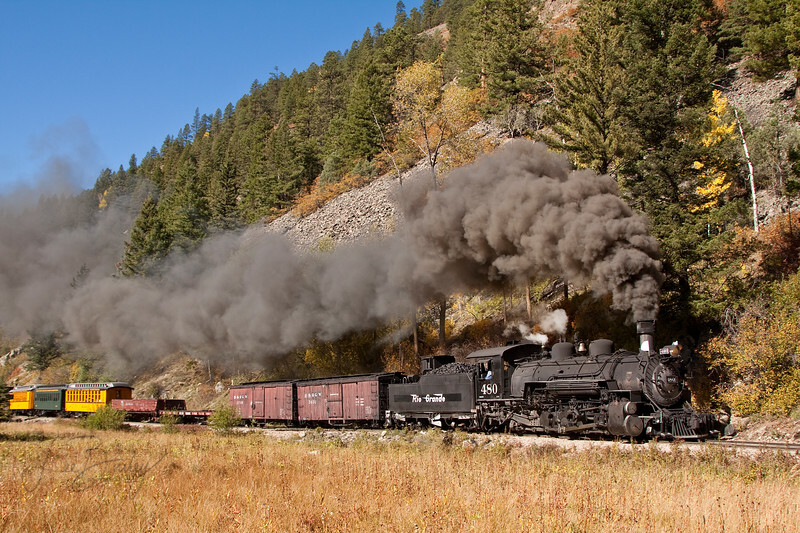 This is a rarity on the line, since excursion trains don't normally cross paths. 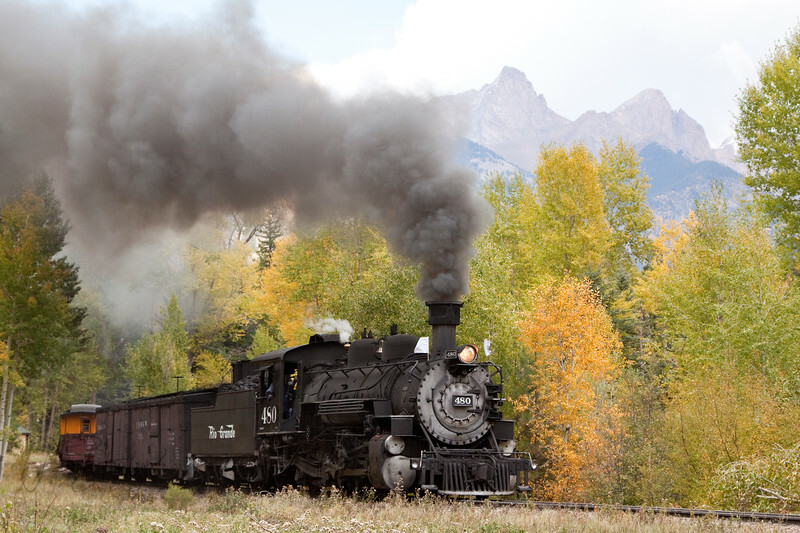 Engine 480 was transporting the annual autumn photography group of 70 individuals. 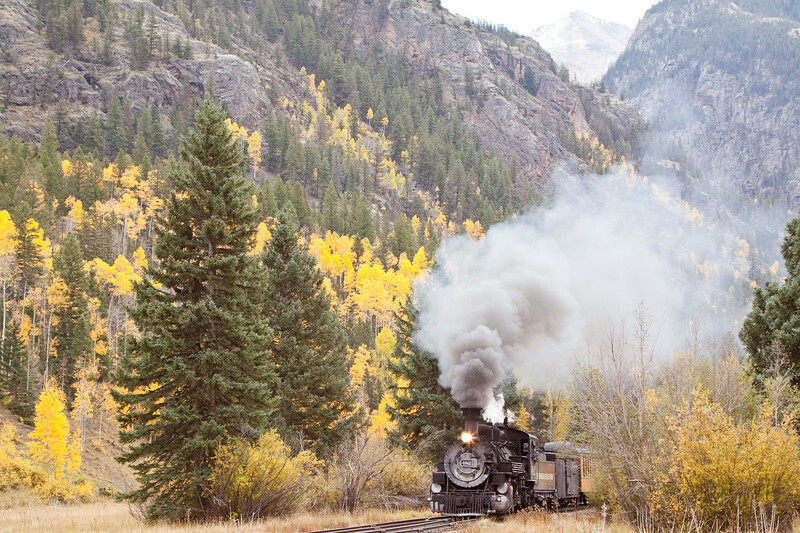 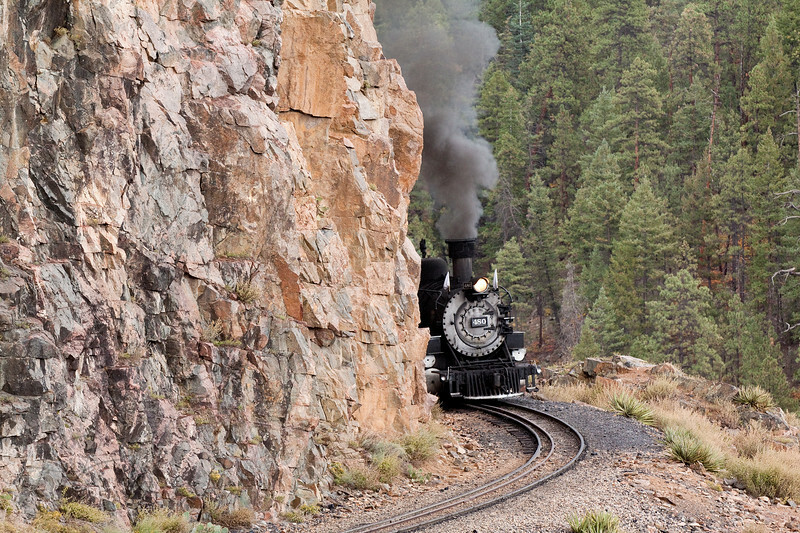 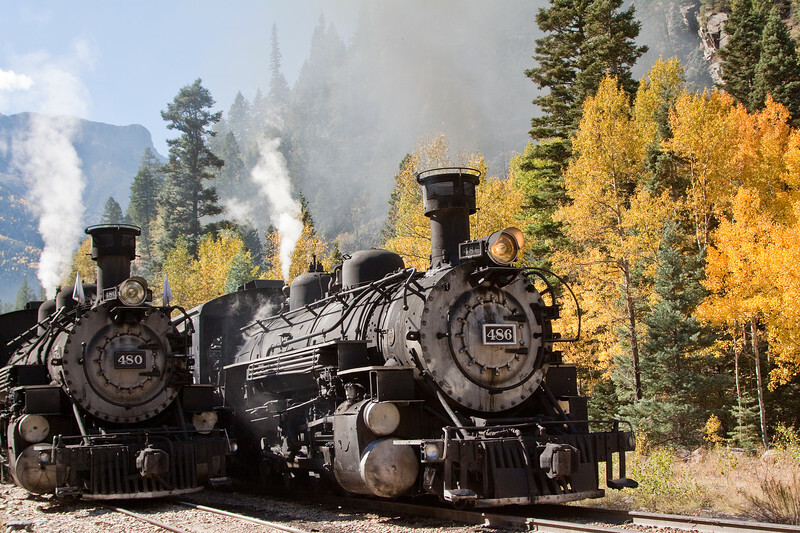 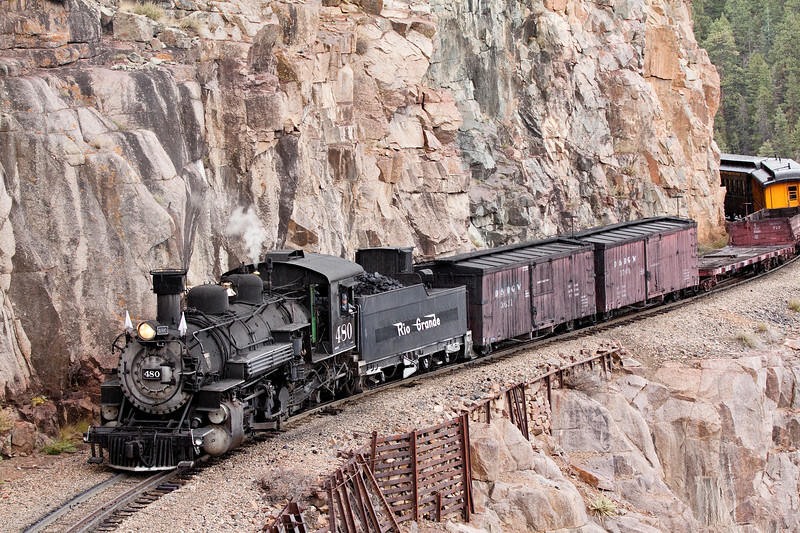 The company allows the photographers to get off the train at certain locales, and photograph the train running through the autumn colors at full steam. 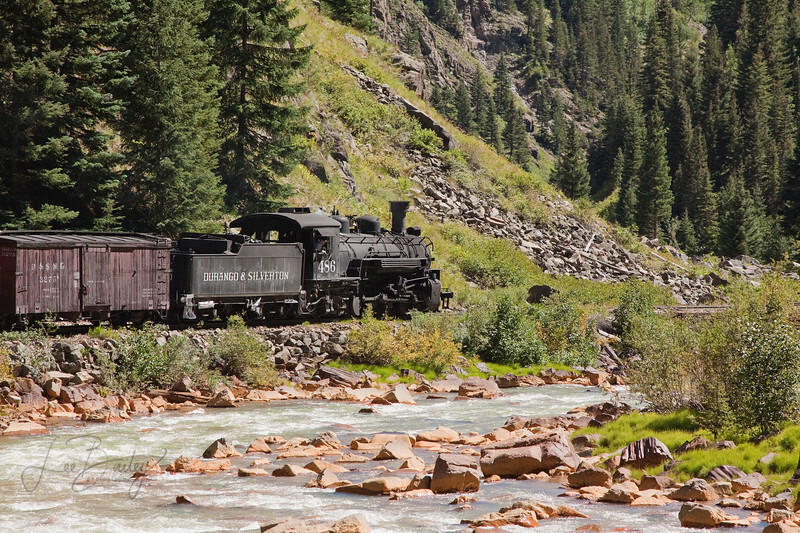 Locomotive #486 frontal view with "cow catcher"
The narrow gauge tracks are only 3 feet apart, and the Animas River is a t the bottom of a very steep drop off.